Compared to the other building and construction materials, the cost of producing concrete is relatively much lower. It’s widely available around the world and is inexpensive, unlike polymers, steel and others. Cement, aggregates and water are the ingredients of concrete. These are all locally available at affordable costs. At ambient or regular room temperature, it’s able to set, gain its strength and harden. This is due to the fact that it’s an inorganic material that’s bonded by low temperatures. So, irrespective of the temperatures, it’s able to be used and if required, it can be used with admixtures. In its liquid state, concrete easily flows. Hence, it can be poured into different shuttering or framework configurations in order to form the sizes and shapes that are desired at the site of construction. To cast it into complex configurations and shapes, the mix can easily be adjusted. Compared to the amount of energy required for the production of steel, the amount required for producing cement is much lower. This saves a lot on the energy expenditure during its production. As much as water chemicals can cause corrosion in reinforced concrete and concrete, it can withstand water without any noticeable deterioration as compared to steel and wood. For this reason, it’s usable in submerged and underwater applications. As compared to steel and wood, it can withstand much higher temperatures it’s also a bad heat conductor with the ability to store a large amount of heat from the surroundings. It’s used for fireproofing steel. It’s used in the blast and high-temperature applications. Many wastes from industries can be substitutes for aggregate and cement by recycling. These are slag, ash waste glass among others. It, therefore, reduces impacts on the environment due to waste from industries. The wastes also improve concrete properties ensuring the quality of the structure isn’t compromised. The thermal coefficient of thermal expansion of concrete is comparable to that of still. When used this way, it protects steel in environments where corrosion is likely to occur. The strength of structures and members made from reinforced steel is also higher due to the presence of concrete in the structure. For regular applications, concrete structures don’t need to be coated or painted to protect them from weathering. This is unlike wood or steel structures which have to be protected from weathering by either painting or coating. 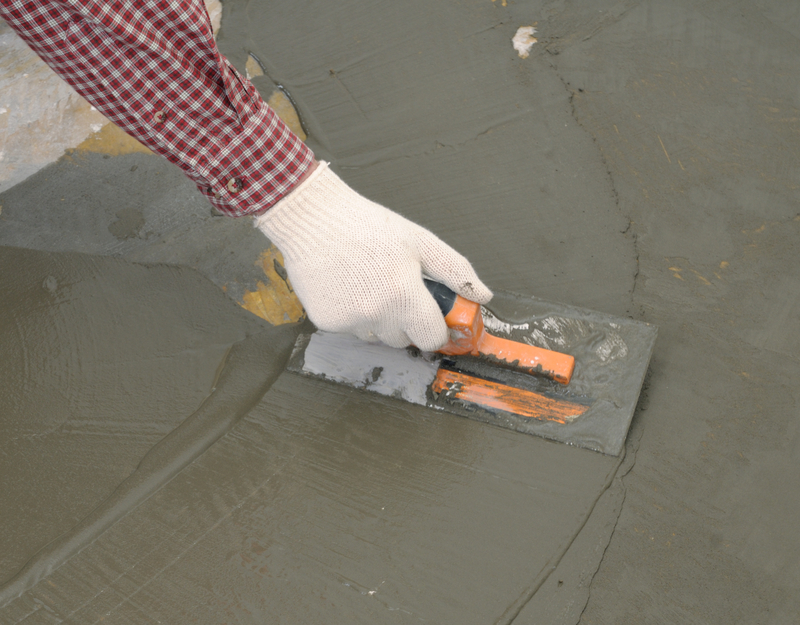 Another major benefit of concrete is that it can be used in different areas of applications. It can be pumped, hand applied, sprayed, poured and grouted. It can also be used for advanced applications such as tunnel shotcreting.